WaterWerks is pleased to announce the addition of a fourth car show in our 2015 line up, WaterWerks Las Vegas. March 28th-29th will be an entire weekend of car events. Starting March 28th, our partners, StanceWars, will be putting on a all stance event Saturday evening at Boulder Station. There will be a after party that everyone can attend. More info on their website about that event. 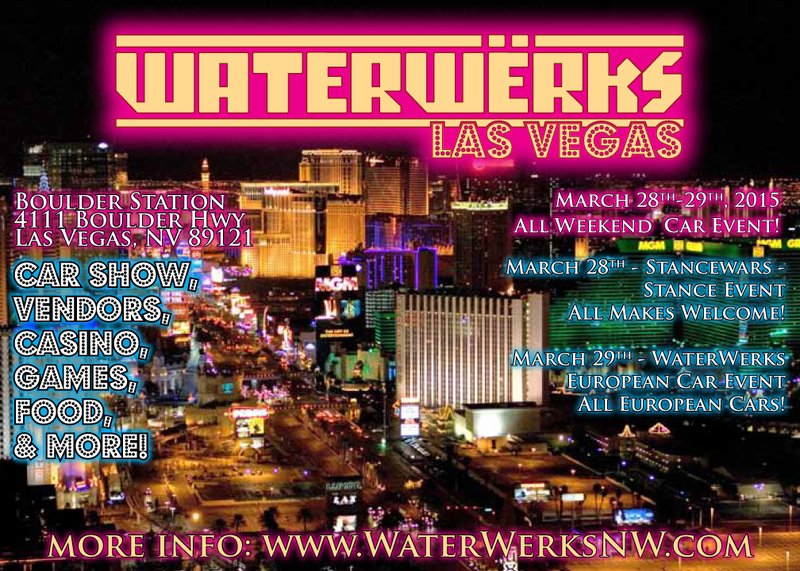 On Sunday the 29nd (not too early in the morning) we will be hosting WaterWerks Las Vegas. This will be our fourth show in our West Coast Show Series, which people who show their cars in our shows have a chance of participating in, more here on it. More info on the event and times. will be posted at a later date.